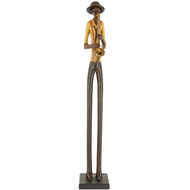 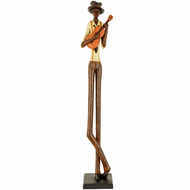 Capture the soul of this standing jazz band trumpeter in your home. 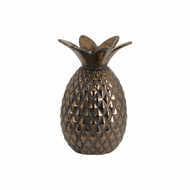 The tall, elegant and beautifully carved qualities of this ornament mean that it looks particularly striking when used as a centrepiece; it can also add a minimalist, stylish appeal to the most drab of windowsills or mantelpieces. 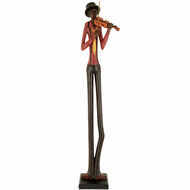 Cast in resin for a long lasting finish, this earthy, soulful coloured figure makes a perfect gift for the music enthusiast in your life.